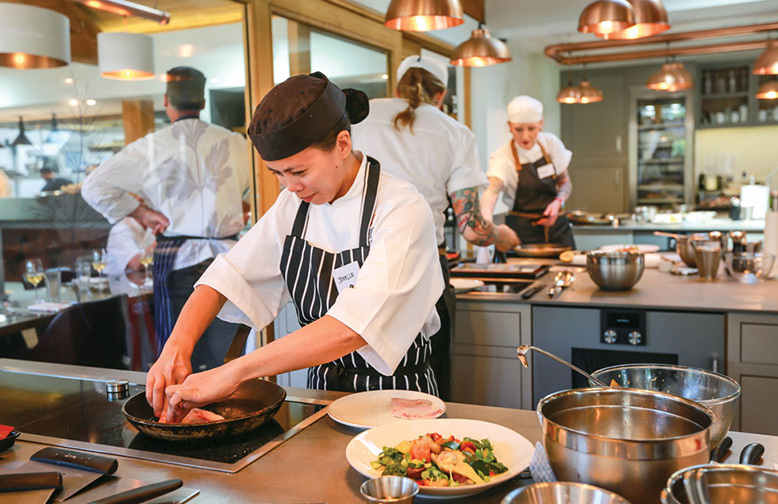 Our professional chefs have begun receiving additional training at one of the UK’s top hotels so they can continue to delight our residents. 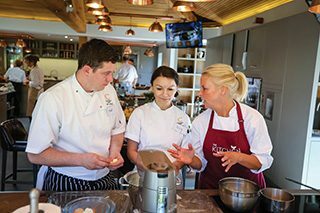 The bespoke, hands-on sessions are being held in The Kitchen cookery school at the New Forest’s five-star Chewton Glen Hotel & Spa. 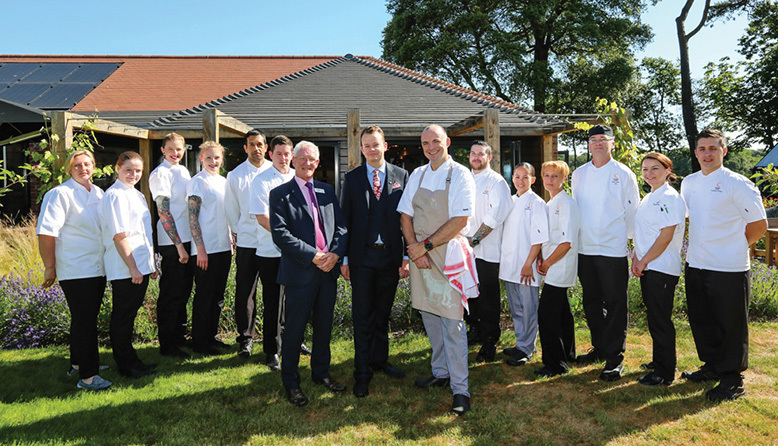 An initial training day was led by award-winning Chef Tutor Steve Bulmer, who has 20 years of Michelin-level restaurant experience, including working with Raymond Blanc. The first Colten cohort of 12 chefs focused on techniques, principles and efficiencies in breadmaking, puddings, plating up, sauces and main courses. All 45 of our chefs will be offered the training in due course. 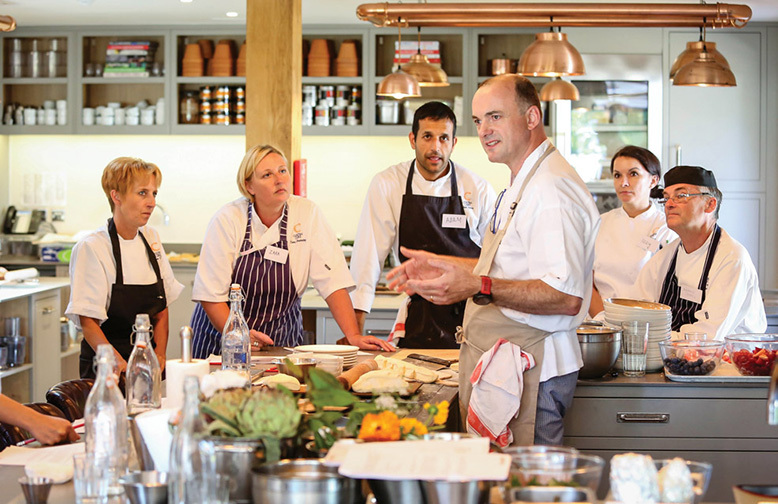 Baking dozen: Our 12 chefs brush up their talents in The Kitchen cookery school. Top, centre are (from left) Colten Care’s Fergus Davitt, Alex Von Ulmenstein and tutor chef Steve Bulmer from the Chewton Glen. Hotel Services Manager Fergus Davitt said: “Working in a care home kitchen brings challenges that you don’t find in a hotel. Many of our residents have very specific clinical and nutritional requirements, for example in managing weight gain or loss or a need for modified foods.